American Hospital Dubai is an internationally-accredited general medical-surgical hospital equipped with 254 beds, the most advanced imaging and diagnostic technology, and multi-trained physicians who are USA-board certified or their Western equivalent. It is the first hospital in the Middle East to be awarded Joint Commission International accreditation and to join the US-based Mayo Clinic Care Network. It offers two specialty centers - the Cancer Care Center and Heart & Vascular Center, as well as highly advanced Orthopedics section and Endocrinology department treating a broad range of lifestyle diseases through a multidisciplinary approach. 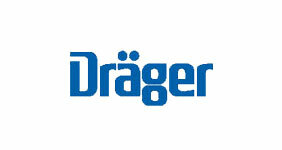 Dräger is an international leader in the fields of medical and safety technology. The family-owned company was founded in Lübeck, Germany, in 1889. It’s guiding philosophy is “Technology for Life” through which Dräger empowers hospitals to continuously improve results in acute care – to protect, support and save lives. From advanced anaesthesia workstations for the operating room, to sophisticated ventilation and monitoring systems for intensive care, from pioneering devices in neonatal care to holistic gas management systems for the hospital – Dräger brings to life its passion as being “Your Specialist in Acute Care”. Fujifilm is a pioneer in diagnostic imaging and information systems for healthcare facilities. Our clinically proven products and technologies are constantly evolving to help medical professionals perform more effectively and efficiently. Beginning in 1934 as Japan's pioneering photographic film maker, Fujifilm has leveraged its imaging and information technology to become a global presence known for innovation in healthcare, graphic arts, optical devices, highly functional materials and other high-tech areas. At Fujifilm, we are continuously innovating — creating new technologies, products and services that inspire and excite people everywhere. Our goal is to empower the potential and expand the horizons of tomorrow's businesses and lifestyles. Gruppo Ospedaliero San Donato is by far Italy’s leading private hospital group, composed of 3 research hospitals, 16 general hospitals, 6 outpatient clinics and 16 dental clinics, with over 5560 beds, more than 5700 specialist physicians & 4.5 million patients treated in 2018. It is the premier provider of health services at all levels of care in all specialties for the Italian NHS, which is among the top-ranked health systems globally for quality and accessibility. GSD’s unique model puts the patient’s well-being at the center by combining clinical, academic & research excellencies to provide the best tailor-made care for everyone. To create and provide reliable quality and value for our customers, partners and stakeholders that will improve healthcare outcomes and services. To be the customers preferred provider of products, services and solutions to the selected segments of the healthcare industry that we serve. Customer - We will put our customer and patients needs and requirements as our top priority and objective. Leader Healthcare, founded in the year 2009, is a super specialty health care organization that caters to the requirements of this ever changing medical sorority. Our mission is to create and provide a comprehensive system of delivering health care and services related to it. Headquartered in Dubai, our presence is well rooted in the Middle East and India. Just a few years in this industry and the company has reached a pinnacle of success that has placed it on the map for being a pioneering medical science that sets new trends and global standards. Leader healthcare aims at becoming the world’s leading medical technology company and is driven to make healthcare better. We offer a diverse array of innovative products, transformational medical technologies and services that are shaping a new age of medical care. We believe in keeping all our associates happy and constantly strive to understand the needs and requirement of our clients to ensure a long term relationship between us. As technology begins to play a larger role in patient delivery, healthcare facilities must be designed with adaptability in mind. The continuous change in the healthcare industry, driven by technological advancements, requires healthcare operators to constantly reinvent their facilities. NMG is an American based design-build company that is at the forefront when it comes to modular interior design and construction. NMG has established itself as the leading force in designing and building highly functional, flexible and sustainable healthcare facilities with focus on operational efficiency, as well as creating a healing environment, promoting enhanced well-being for patients, families, and staff alike. Just about 45 minutes away from Dubai International Airport, RAK Hospital caters to a large number of patients that flock to the UAE for cost-effective and reliable medical care. Since its inception in 2007, the Hospital has played a pivotal role in strengthening the UAE’s position in the field of medical tourism. Furthermore, it has successfully positioned itself as the foremost healthcare provider for complicated Bone & Joint services, Neurology, Cardiac cases as well as high end laparoscic procedures. The hospital has over 220,000 registered patients, more than 70 doctors, and 300 nurses and support staff and it stands tall among its counterparts for its warm and reassuring healthcare resources that compliment the amazing beauty of Ras Al Khaimah, giving patients the much-needed serenity and peace to recover and recuperate. The institution features state-of-the art diagnostic facilities, surgical programmes, operation theaters, cardiac labs, a stroke unit, a rehab center, a specialized eye care unit and a top of the line spa amongst other facilities. Sapphire© HMS is a new generation Hospital Information System designed for the modern challenges of healthcare organizations to help bridge digital transformation using a best-of-breed approach towards patient safety and service efficiency. Sapphire© is 100% cloud-ready, multilingual, highly intuitive & adaptable, and natively supports mobile devices & tablets. Sapphire© requires ‘near zero’ training which translates into high adoption rates by clinical and non-clinical staff within healthcare facilities. This allows for a faster rollout period of 3 to 6 months for an out-of-the-box implementation. Sapphire© includes a fully customizable integration engine allowing seamless interoperability with ancillary, specialty and any external system. Established by the Founder President Dr. Thumbay Moideen in 1998, Thumbay Group is a diversified international business conglomerate headquartered in Dubai, with presence across 20 sectors of business including Education, Healthcare, Medical Research, Diagnostics, Retail Pharmacy, Health Communications, Retail Opticals, Wellness, Nutrition Stores, Hospitality, Real Estate, Publishing, Technology, Media, Events, Medical Tourism, Trading and Marketing & Distribution. Thumbay Group follows a strategic plan, according to which the Group aims to expand its businesses over ten times, with global presence. The strategic vision plan aims to increase the employee strength to 25,000 by the year 2022. TG Expo was founded in 2008 with ‘Think Global’ insight. We bring together leading exporters with our talented team to do business in international markets. TG Expo Group has organized exhibitions in France, Iran, USA, Qatar, Brazil, Egypt, South Africa, Nigeria, Saudi Arabia, UAE, Kuwait, United Kingdom and India. Including Healthcare, Electricity, Design, Furniture and Marble sectors TG Expo enables exporter companies to do business and experience new markets. Accredited by Turkish Ministry of Economy, TG Expo Group acts as the Turkish representative of various international fairs and national pavilions; organizes fairs in Turkey as well by its experienced team. Canon Medical Systems offers a full range of diagnostic medical imaging solutions.In line with our continued Made for Life philosophy, patients are at the heart of everything we do. Our mission is to provide medical professionals with solutions that support their efforts in contributing to the health and wellbeing of patients worldwide so that together our industry-leading solutions deliver an enriched quality of life. We have changed our company name from Toshiba Medical to Canon Medical Systems on January 4th 2018. Since its beginnings in 1945, the KARL STORZ family company has grown into a global manufacturer and distributor of endoscopes, medical instruments and devices. Not a giant on an international scale but leaders in matters that count: Creativity, Versatility and Competence. Visionary ideas grounded by traditional and precise workmanship are integrated into a concept of sustainable entrepreneurship. We are driven by our quest to continuously develop optimal technological solutions for endoscopy. Our past milestones motivate us; while advances in medicine fascinate us. Our goal is to further consolidate our technological leadership. Innovation – Made by KARL STORZ. Our treatment solutions and oncology informatics portfolios are designed to enhance the delivery of radiation therapy, radiosurgery and brachytherapy, and to drive cost efficiency in clinical workflows. Elekta employs 3,700 people around the world. 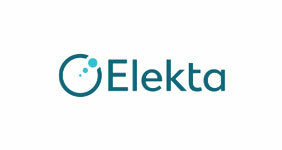 Headquartered in Stockholm, Sweden, Elekta is listed on NASDAQ Stockholm Exchange. In more than seven decades, the KARL STORZ family company, which was founded in 1945 as a two-person operation, has grown into a globally active player that now stands for innovative excellence in endoscopy for human and veterinary medicine as well as for industrial applications. Thanks to a high-quality, full-range product line that covers all medical specialties KARL STORZ customers receive everything from a single source: from endoscopic instruments to high-tech documentation solutions, fully integrated operating rooms, and software-based process solutions. For this year’s Arab Health visitors, we will be showcasing at our booth highlights of innovative and in-demand new products from our comprehensive portfolio. The Malaysian Rubber Export Promotion Council (MREPC) is an agency under the Ministry of Plantation Industries and Commodities, Malaysia who undertakes the market promotion of rubber and rubber manufactured products in Malaysia which are exported to more than 195 countries worldwide with its export value registering new heights each year. Over the years, MREPC had redefined its role to meet the changing needs of the industry to keep up with the changes in the global markets. This includes the setting up of representative offices in the USA, China, India and Europe. Come visit us at Arab Health 2019 - Booth P.D10! At Philips, we take a holistic view of people’s health journeys, starting with healthy living and prevention, precision diagnosis and personalized treatment, through to care in the home – where the cycle to healthy living begins again. 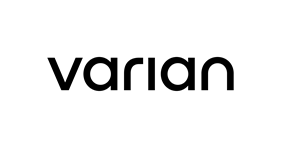 Varian Medical Systems, Inc., of Palo Alto, California, is the world's leading manufacturer of medical devices and software for treating cancer and other medical conditions with radiotherapy, radiosurgery, proton therapy, and brachytherapy. The company supplies informatics software for managing comprehensive cancer clinics, radiotherapy centers and medical oncology practices. Varian Medical Systems employs over 6,400 people, located at manufacturing sites, sales and support offices worldwide. Ansell is a world leader in providing superior health and safety protection solutions that enhance human well-being. The world’s need for better protection never stops, so Ansell is constantly researching, developing and investing to stay on the cutting edge of product innovation and new technologies.Operating in two main business segments, Industrial and Healthcare, Ansell is a market leader that continues to grow, employing 14,000 people worldwide. With operations in North America, Latin America/Caribbean, EMEA and Asia Pacific, customers in 100 countries around the world trust Ansell and its protection solutions.Information on Ansell and its products can be found at www.ansell.com. With over 58,000 employees in 64 countries, B. Braun is one of the world's leading manufacturers of medical devices and pharmaceutical products and services. Through constructive dialog, B. Braun develops high quality product systems and services that are both evolving and progressive - and in turn improves people's health around the world. In 2016, the Group generated sales of approximately €6.47 billion. For over 100 years, STERIS has served surgeons, anesthesiologists, and nurses; sterile processing and materials managers; infection control practitioners; biomedical personnel; and hospital administrators. The Stiegelmeyer-Group stands for premium quality hospital and care products, developed specifically for the complex demands of day-to-day medical practice. Their core products are high-tech beds and furnishing solutions. As a medium-sized enterprise with headquarters in Germany, Stiegelmeyer designs and produces for domestic clients as well as for global markets. In order to consistently maintain their high quality standards they manufacture their core products in-house. At their facilities in Germany and Europe, Stiegelmeyer strives every day to develop technologically innovative products that offer a high degree of comfort and safety to patients but also facilitate the work of care staff. The Hospitals by Arab Hospital Magazine is an English Bi-Monthly Healthcare Magazine with 43,000 copies and was established in 2010. The magazine is available monthly throughout the Gulf area, the Levant and North Africa with a total circulation of 65,000 copies. Our subscribers are mostly ministries of health, hospitals, private clinics, universities, health care related industries (pharmaceutical, equipment suppliers, IT, insurance), doctors, and health conscious readers. in innovative health technologies, technology-enabled healthcare, medical devices, and digital health services, the Journal is widely read by audiences from around the world. leadership, winning practices in healthcare. Management, Imaging, Healthcare IT & Cardiology.